Mainstream media outlets in Norway are finally tackling a highly sensitive question that many Labour Party officials and survivors of the massacre on the island of Utøya would rather ignore: Why did the lone ferry serving the island sail away when the shooting started, with only nine persons on board? Among them was the leader of Labour’s youth organization, who many view as a future candidate for prime minister. The question has actually circulated for months, ever since gunman Anders Behring Breivik shot and killed 69 persons, wounded scores more and traumatized hundreds of others. Breivik had taken the ferry over to the island, disguised as a police officer. Shortly after he started firing upon arrival, the ferry called MS Thorbjørn backed away from the island and sailed off. On board was Eskil Pedersen, leader of Labour’s youth organization AUF (Arbeidernes ungdomsfylking), which owns Utøya and the ferry. He and eight others escaped the shooting, and after taking what’s been described as an unusual route, the ferry landed at the farm of a friend of its captain. VG Nett reported on Friday that it allegedly grounded there, with the captain’s friend now saying the grounding hindered the ferry’s ability to help pluck massacre survivors out of the water as they desperately tried to swim to shore. The ferry thus wasn’t used to help others get off the island while the shooting went on, and this week, the head of the state commission probing the terrorist attacks said its movements would be investigated. “We’re working very hard to track what happened when, and who had the opportunity to make the decisions taken,” commission leader Alexandra Bech Gjørv told Norwegian Broadcasting (NRK). 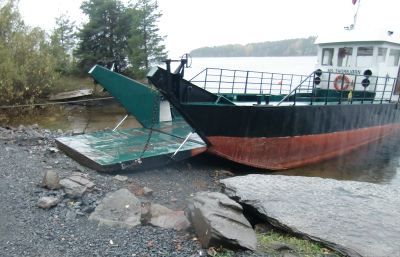 The commission will also evaluate AUF’s evacuation plans and plans for securing buildings on Utøya, reported NRK, adding that the nine persons on board the ferry included six AUF leaders and three crew members. Gjørv’s attention to the issue is what seems to have unleashed the flurry of media coverage this week about the flight of the ferry. Until now, the subject has mostly only been covered in online news services like Nettavisen and among bloggers who have been highly critical of Pedersen’s role. One local editor said there’s been a form of taboo around the issue, and he described some of the online debate as showing a lack of compassion and understanding for the extraordinary situation the AUF leaders were in. Nettavisen itself attracted some harsh criticism when it raised questions back in August, with the editor of Stavanger Aftenblad later claiming that survivors of Utøya shouldn’t have to answer for what could have been done differently. Others disagree, suggesting Pedersen and his AUF colleagues should explain why they sailed away and failed to take part in rescue efforts. It wasn’t until later that night, after the shooting was long over, that the ferry was put into service to transport survivors back to the mainland. Pedersen, who made several public speeches and was widely viewed as a hero in the days immediately following the terrorist attacks, hasn’t wanted to answer questions or comment on the issue. Newspaper Aftenposten, which devoted a full page to a story on the ferry questions Thursday, noted that Pedersen earlier has referred to the “shock” of the shootings and feelings of paralysis on board the ferry. Its captain had just seen his own wife shot and killed, and had two children left on the island. Some AUF members have said there were fears Pedersen himself was a target, that more gunmen may be waiting at the ferry pier on the mainland (hence the detour to the farm) and that everyone had to think about saving themselves. “We understand why they did what they did,” Lars Vidar Brendeland of AUF told Aftenposten. He thinks Pedersen has been cast in a bad light, and AUF doesn’t want that. It doesn’t help, though, that Pedersen and AUF colleagues have tried to suppress some media coverage of the aftermath of the attacks, and also didn’t want media to accompany the commission when its members visited Utøya recently. Many are advocating the openness that Labour Prime Minister Jens Stoltenberg himself has urged, and contend AUF must answer questions. “The truth must come out even if it can be uncomfortable,” survivor Jorid Holstad Normelan, age 20, told Aftenposten. She was surprised the commission leader brought up the issue in the media this week.